How is Fixed and Mobile Broadband evolving into 5G as an FMC platform? Which access network(s) will first benefit from 5G capabilities? How will 5G interact with existing fixed and mobile networks? What role will Satellite and Professional Networks play in 5G networks? What will a 5G platform be covering and when will we see prototypes and pilots in major capital cities? What is the role of multimedia services in 5G and is there a future for IMS besides VoLTE/RCS? What is the status quo of the Internet of Things (IoT) and what role will IoT/M2M standards and platforms play within 5G? Will the Industrial Internet be different from 5G? How will Smart City applications benefit from 5G? How will indoor and outdoor access integrate in 5G? Will network slicing work and stimulate new business models? Will network slicing just work within one operator or cross domain? How far can network functionalities (devices, access, core, etc) be virtualized? 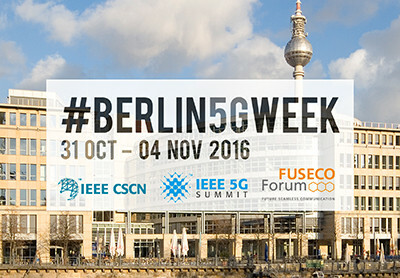 What will be the role of 5G Toolkits and Testbeds for the development of standards? Which major open 5G Testbeds exist? Which cities will drive 5G and be first adopters? Feel free to add key questions! But lets sort them a bit…. The Registration for FUSECO Forum is open now!